We love Sainte-Marie Among the Hurons First Light event. First Light is a Christmas celebration Sainte-Marie holds every year at the historic site. It is always a crowded event with many visitors walking through the many candle-lit buildings, listening to live, seasonal music and sampling Christmas baking! There is also a craft sale with many amazing local artisans and Sainte-Marie collects massive amounts of food donations to give to a local food bank. It is easy to see why this is one of our favourite events of the year! A highlight of the event for us is the longhouse, where there is an aboriginal drumming circle. Sitting around a fire, listening to an elder tell stories, teach songs and drum for the group. It is not only fun, but a very meditative experience. It is definitely Liz’s favourite place to be at the event and she will sometimes sit there for an hour listening and meditating. On weekends that we have groups at Sugar Ridge during First Light, she has invited guests to come with her to experience this with her. Tonight is no different. 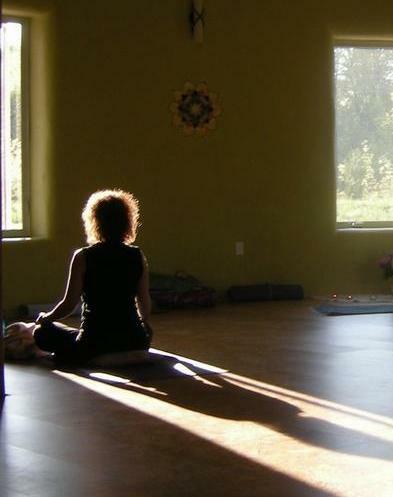 The participants of the Yoga & Meditation retreat will be there soaking it all in. A videographer friend of ours, Alla Lifchits, was there on Thursday and made this amazing video, touring through the event. She really captured the feel of being there, so we wanted to make sure to share this with others who could not make it… or inspire others to come out tonight for the final evening of the event. Meditation has been well researched and shown to be good for us in all sorts of ways. A recent Globe and Mail article talks of a study which showed that mindfulness meditation had a strong effect on the immune system. Using a meditation group, an exercise group and a control group (that did nothing different), the researchers wanted to see which group would fare better during a month in the middle of flu season. Both exercise and meditation lowered the number of people getting sick by 25%, but meditation had a few extra benefits. Those that meditated and got the flu had the least symptoms and those in the meditation group missed the least work days. That is pretty convincing for the power of meditation! So, you want to talk to someone about something that has been bothering you. You may know what you want to say. You may even know the communication skills you need in order to be heard well. But, do you know that many of the things that can make your conversation fall flat or be ineffective happen even before you say your first word? Everyone says that good communication is crucial to a healthy relationship. There is lots of advice for the skills of communicating well, but creating the right conditions and environment for that conversation to happen is equally as important. Just because you want to talk, does not mean it is the right time to do so. You need to find a time that is convenient for both of you. You may be ready, but the other person may need time (to prepare or calm down, or maybe they’re busy with work, kids etc.) You will need to schedule the talk in at a specific time. To determine the right time to meet, you should consider a time when you will be uninterrupted (by kids, coworkers, etc.) and when you are both not tired or stressed, so you can be alert, focused and relaxed. It sounds crazy to make an appointment with someone you’re close to but it is more likely to end well if you talk at a mutually convenient time. Wherever you happen to be when you want to talk is not necessarily the best place to have this conversation. Not all places are created equal for this task! A good place to talk should be quiet, comfortable and free of distraction. Now, this does not mean that the only good spot to talk is to be holed away in some closed room. Maybe the best place this time might be on a bench in a park, the mall, or Tim Horton’s. The right place might even end up being on the phone. Often it is hard for two people to find the right time and place to meet and many great conversations have happened over the phone. It is important to be clear about what you want to talk about when you make that appointment. Mutually decide before you start talking exactly what it is that you are going to discuss. This is best done before you meet to talk or as the first thing you do after you sit down together. If you are not both on the same page as to what is to be discussed, misunderstandings can come up and the conversation can seem more like two conversations moving past each other, never to meet. So, be clear as to what each of you want before you start. It is also a good idea to determine together at the outset what the common value is that you share. In other words, how do you both want the same thing? For example, often couples argue about how to deal with their children. They both want the best for their kids, but perhaps have different ideas of what that should look like. To keep conversations on track, and not go sideways, it’s helpful to keep a notepad handy so that if one of you brings up a separate topic it can be written down and not be forgotten or brushed aside. You can come back to it later, or in a different conversation, rather than heading off on tangential conversations. This way you don’t end up leaving the conversation feeling more distant, and frustrated than when you started. Something else to consider when setting the topic is asking what is the desired outcome of the conversation and how you will both know you when you have achieved it? By doing this, you are starting with the end in mind and can keep using that as a touch stone to see if you are on track with the talk. It may seem odd to need to be “physically prepared” to talk to someone, but it is important and is very often overlooked. This is not the type of being “physically prepared” like it is to prepare for a marathon. This kind of preparedness comes in two broad forms: being calm and aware. When you are upset, your body’s sympathetic nervous system (the body’s “gas pedal”) revs up physiological systems like your breathing, blood to your muscles, etc. as part of the stress response. This is read by the brain as, “Let’s be ready to fight, run away or freeze!” What usually comes out of this state of mind are emotional reactions and many distorted thoughts. So, until your physiology slows back down again, your mind will be on alert, making it very hard for you to effectively have a rational, calm conversation. To achieve a calmer body (emotions and mind), some time away from the person/situation/location of what is stressing you is helpful. Psychologist, John Gray (the Men Are From Mars, Women Are From Venus guy) says that you might want to wait up to 12 hours before attempting to talk again, after a heated exchange. Some deep, full breaths (in through the nose, down to your abdomen and up to your shoulders, like you are filling a tank, and then calmly exhale) are also extremely effective to slow down your physiological response. Once you have calmed your physiology and are clearer of mind again, you want to think about being very aware of your physical behaviour while talking. Go into the conversation being mindful of using a calm voice and open body posture. An open posture means to not cross your arms and keep your chest open. This will make you look less defensive and inviting for the other person to feel more comfortable to open up themselves. Being physically prepared goes a long way to having the “right mindset” for a conversation, but there are still some important factors to be considered. Before meeting to talk, set the intention of how you want to show up in this conversation. Quite simply, think about how you will need to act, talk, listen, etc. to be the best person you are and act from your highest self. That’s the person who is capable of respecting and honouring the other person, regardless of whether they act from their highest self or not. This is a matter of self-awareness, specifically, being mindful. If you mindlessly go into the conversation, you leave open the possibility of being triggered in some way and end up in an emotional reaction, followed by old habits and ways of thinking – definitely not highest self attributes. However, if you mindfully set the intention, keeping this mindset in the forefront as you speak, you stand a much better chance of following through with it. Clarify what you want to say; don’t prep a lecture (be open to being moved or changing your views after listening to your partner). Examine your emotions as you consider the topic to be discussed. If you are immediately angry or sad or scared, notice how that will influence the way you will show up in the conversation. Now you are ready to communicate! There are many, many ways a conversation can derail and not go well. However, some preparation ahead of time goes a long way to really setting the stage for you and the other person to converse at your best. The tools from this post are a few of the many things that will be covered in the upcoming Can You Hear Me Now? Couples Retreat. 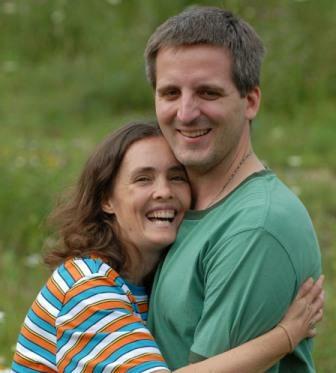 Come nourish your relationship and reconnect with your partner with this or any of Sugar Ridge’s other Creating Connection Retreats.